The case lodged by Enforcement Directorate relates to allegations of money laundering in Vadra's London-based property worth 1.9 million pounds. 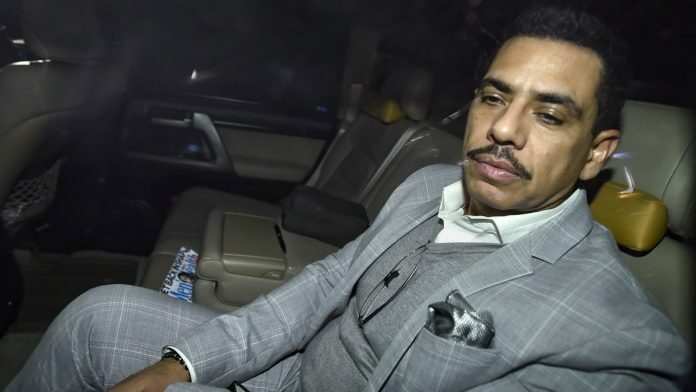 New Delhi: Robert Vadra Wednesday approached the Delhi High Court seeking quashing of a money laundering case lodged by the Enforcement Directorate (ED) in which he has been questioned by the probe agency, saying he was being “harassed” and “humiliated”. Vadra, brother-in-law of Congress President Rahul Gandhi, has also sought that various provisions of the Prevention of Money Laundering Act (PMLA), 2002, be declared unconstitutional. The plea, in which he has sought quashing of the ED’s FIR lodged in 2017, has been listed for hearing on March 25. A trial court had on Tuesday extended Vadra’s interim protection from arrest till March 25 in the case. Manoj Arora, his close aide and an employee of Vadra’s Skylight Hospitality LLP, has also filed a similar petition in the high court. The plea said that multiple investigations have been held in “abuse of statutory power of investigation and therefore second or successive FIRs filed in connection with the same or connected cognisable offence alleged to have been committed in the course of the same transaction pursuant to the first FIR is liable to be quashed”. “However, in order to harass and humiliate the petitioner, another ECIR was registered into the same deals. It was in this wake of the matter that Rajasthan High Court directed that no coercive steps will be taken against the petitioner (Vadra),” the petition said. The plea said it is a gross violation of his rights since “he is being compelled to take part in criminal proceedings without being informed of the…crimes they are alleged to have committed”. “That the same provisions challenged in the above grounds constitute the main operative parts of the Act and hence this makes the entire Act liable to be struck down on the grounds of being unconstitutional. The application of the doctrine of severability is precluded since rest of the PMLA is rendered useless if the charging sections, namely section 3, 17, 19, 24, 44 and 50 are illegal,” the plea said. “This gives credence to the fact that Bhandari was not the actual owner of the property but it was beneficially owned by Vadra who was incurring expenditure on the renovation of this property,” the ED had told the court. In his anticipatory bail plea, Vadra alleged he was being subjected to “unwarranted, unjustified and malicious criminal prosecution which on the face of it is completely politically motivated and is being carried out for reasons other than those prescribed under law”. It has said Vadra’s office was raided by the ED on December 7, 2018 and, therefore, he seriously apprehended that his liberty may be curtailed by the agency. The secession by IAS Officers Association is too late.. Even if they could not enlighten it who will do. When Justice will act INDEPENDeNTLY.